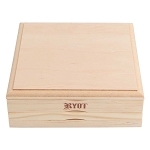 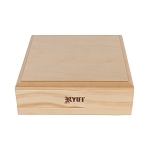 The 15x15 Natural Wood Growers Sifting Box by RYOT is an enormous storage and sifting box for dry blends that is made with a beautiful natural wood construction. 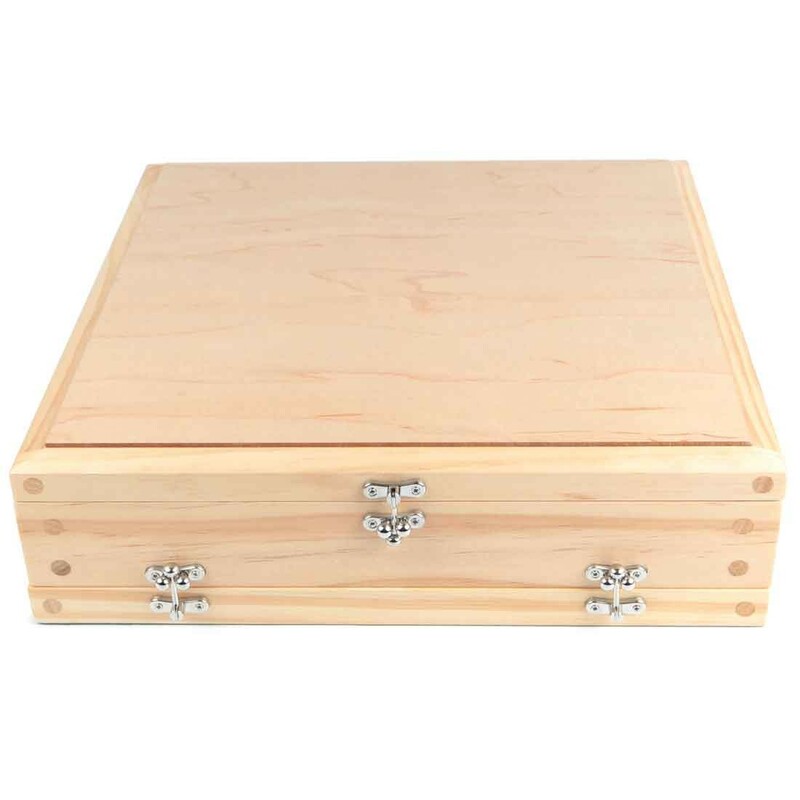 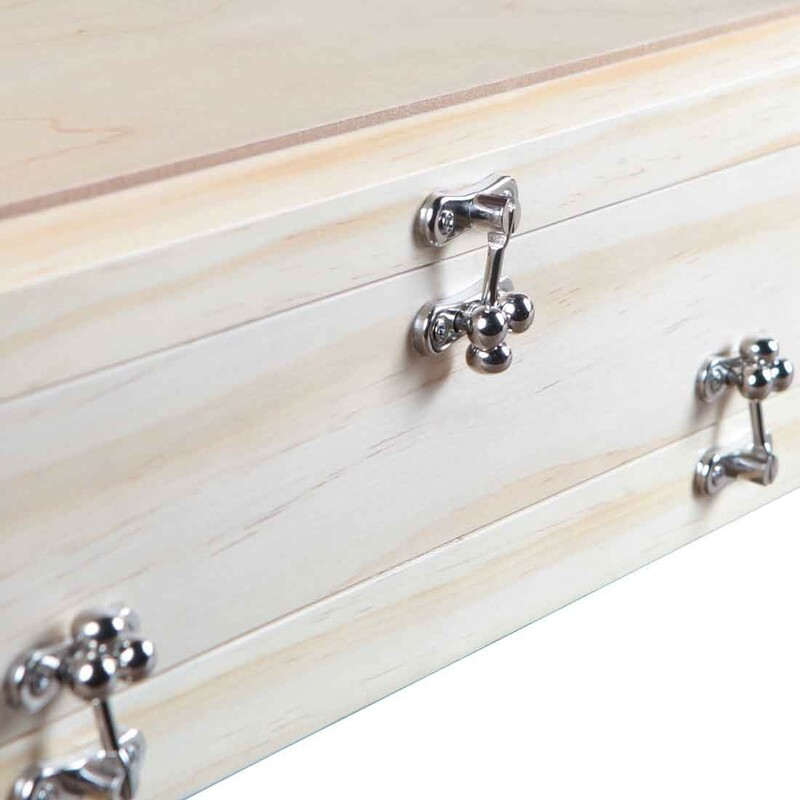 You have three wooden layers that are carefully crafted by the top names in the business. 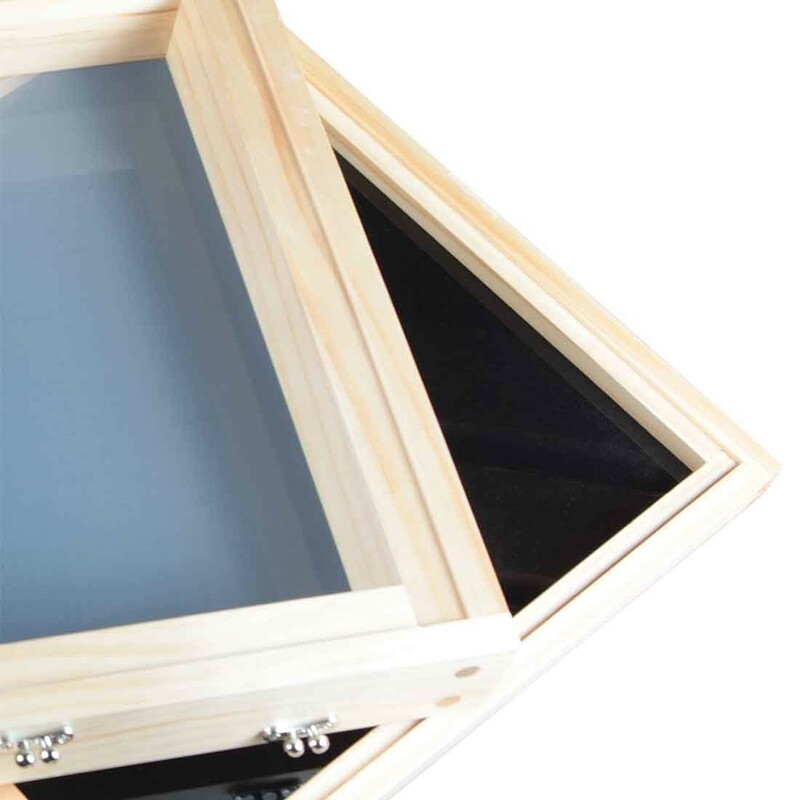 Each section has a secure latching design that holds it together tightly creating two spacious compartments. 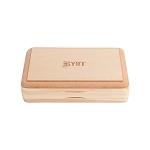 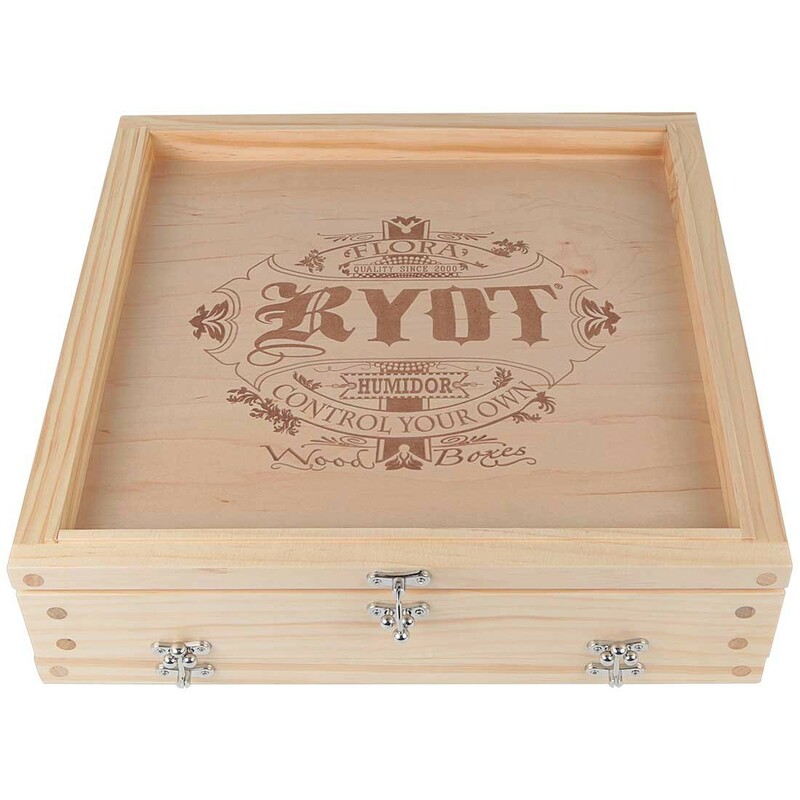 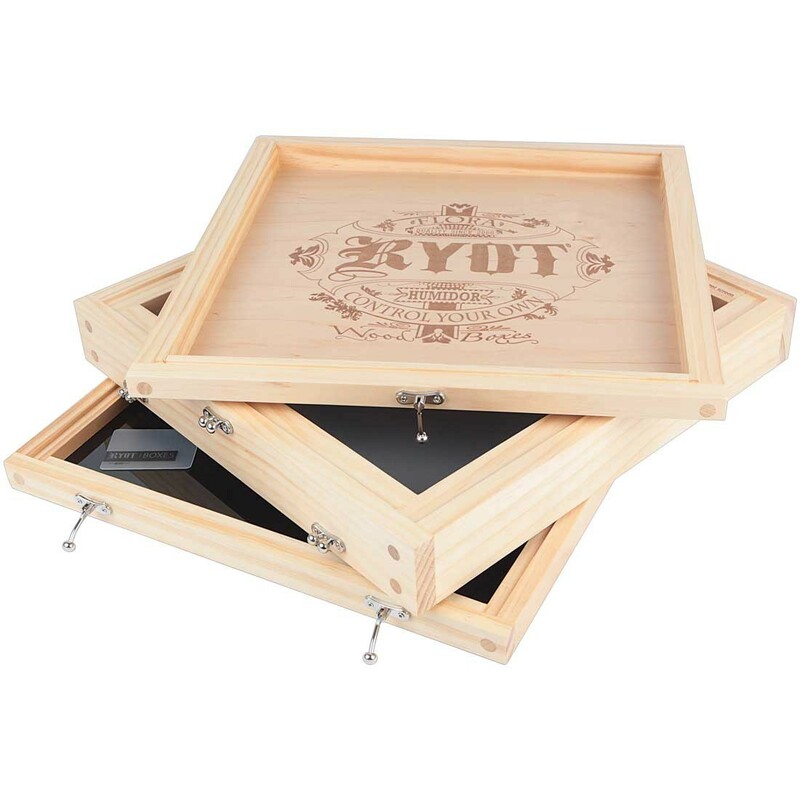 Flip open the top lid and you have a preparation tray with RYOT's classic engraved branding. 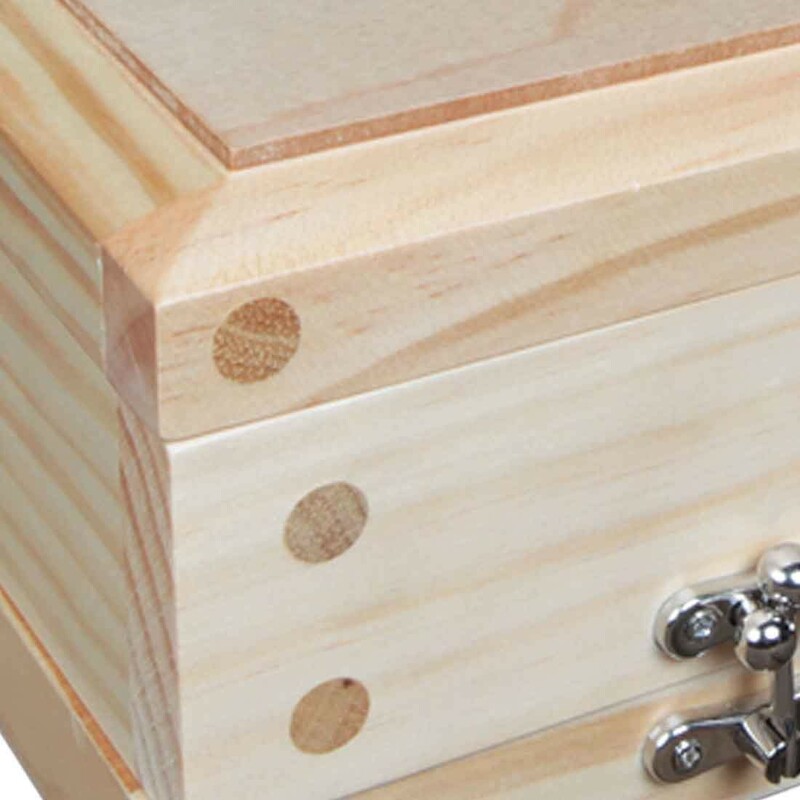 Inside there is a monofilament screen where you will drop your material on for storage. 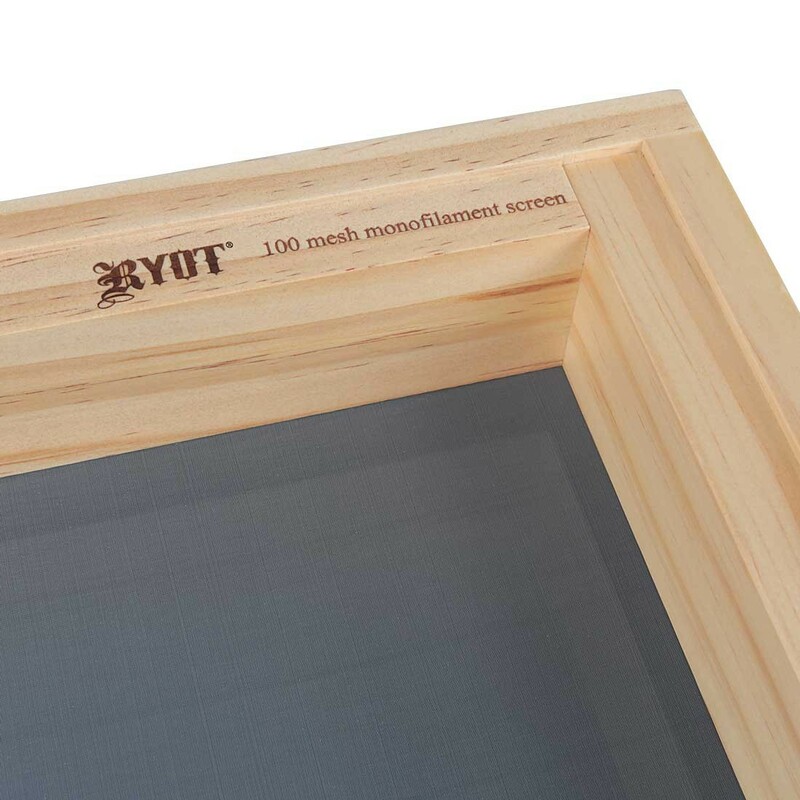 Monofilament is long lasting and delivers only the finest pollen collection you can experience. 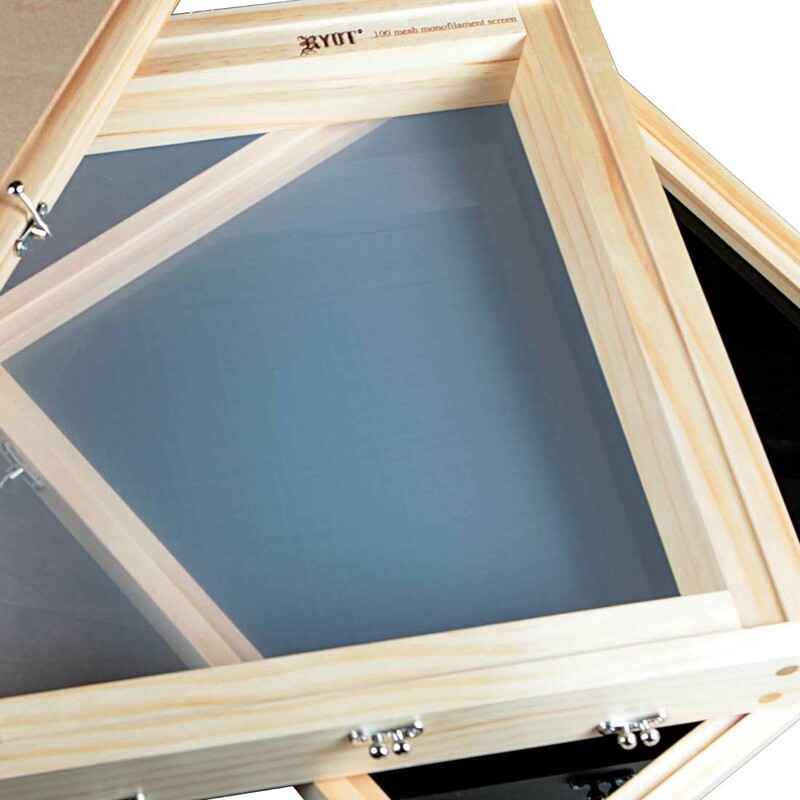 Beneath your screen there is a black lucite collection tray that contrasts your pollen to make removal that much easier. 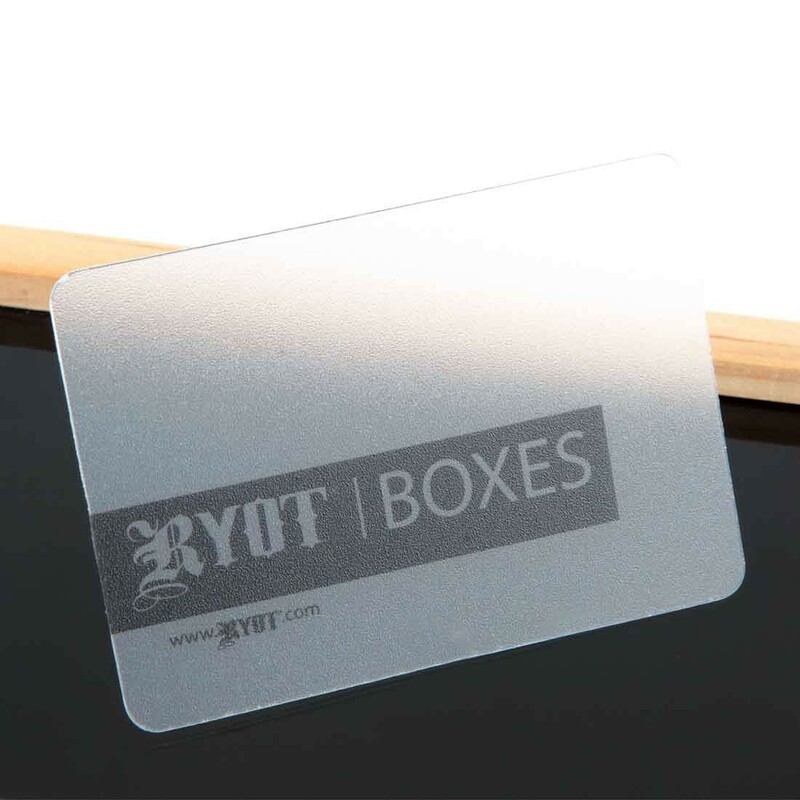 This seamless base leaves no cracks or grooves to lose your material to and RYOT includes a folding scrape card that makes the perfect tool for neatly extracting your pollen. 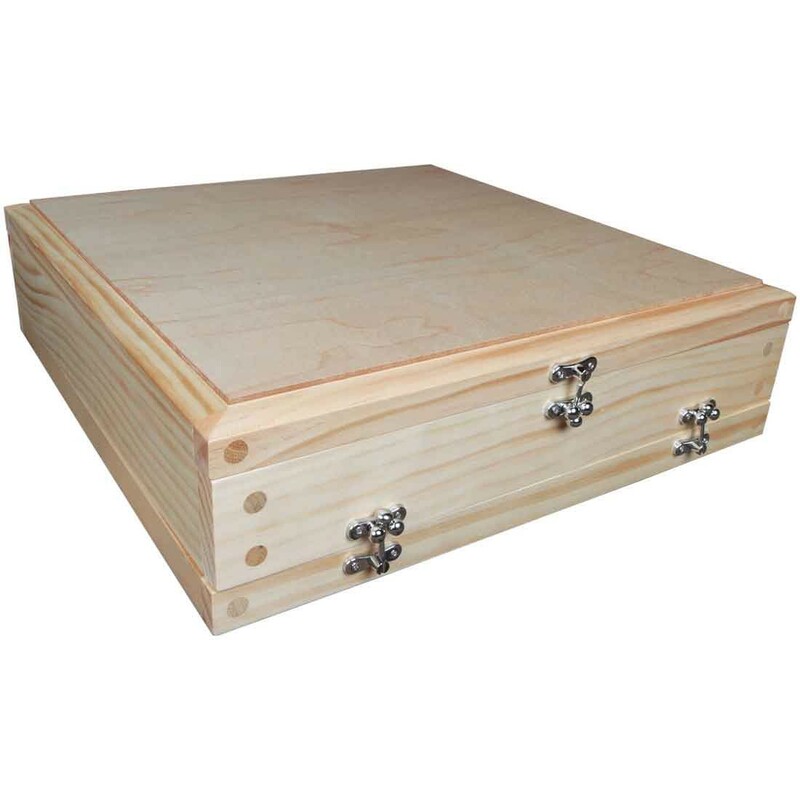 Dimensions: 14 7/8" x 14 7/8" x 4"